HVAC maintenance is one of the most controversial topics out there in the HVAC industry. Why? Mostly because those who own HVAC systems understand the idea of striving for efficiency: paying the least amount of money for the most amount of output from your system. Likewise, these same people might see maintenance as an unnecessary expense. Of course, we have to disagree. If your goal is efficiency, maintenance is exactly the kind of thing that you need! We’ll explain why that is by breaking some of the common myths around maintenance. This is one of the worst myths that still widely persists to this day. People are naturally skeptical about paying extra for things they don’t need, so we understand that some people are hesitant about having maintenance checks performed. However, waiting for a repair issue to occur is a far worse outcome than getting an annual maintenance check. Typically, HVAC systems don’t just break down overnight. The cause of a serious repair issue is usually due to a small problem that has gradually gotten worse. Often, maintenance is the very thing that can prevent this. For example, if your AC develops a refrigerant leak, it won’t cause many issues at first. After several days and weeks, however, it can drastically reduce your AC’s efficiency and damage the compressor (and that’s not cheap to replace). An issue like this can easily be prevented with maintenance. Even if your idea of DIY maintenance means clearing the brush off the outdoor unit and changing the air filter, DIY doesn’t even begin to cover the necessary inspection points of your typical maintenance check. These are just a handful of the task your HVAC technician will perform during a maintenance check. As you can see, some of them require specific technical knowledge or equipment to perform. 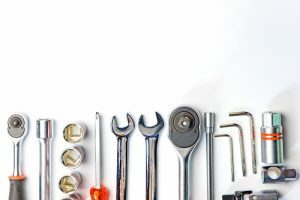 Plus, buying the equipment and tools to do your own maintenance check really wouldn’t be worth the expense unless you were a contractor yourself. So if you’re not able to do HVAC maintenance yourself, why not hire a handyman to do it for cheap? The bottom line is that you need a licensed and certified technician to work on our HVAC system and no one else. And that’s not just something we’re saying to scare you—many HVAC systems’ warranties are built on policies stating that they can only be maintained and repaired by qualified technicians. Manufacturers do make mistakes, and if your system is damaged due to a defect, you can be reimbursed. Of course, you’d only be able to find out if you make sure to have your system inspected by a professional of HVAC in Orange, CA. Don’t let anyone touch that HVAC system unless they’re a certified professional! Contact RKM Heating and Air Conditioning today to schedule a service.